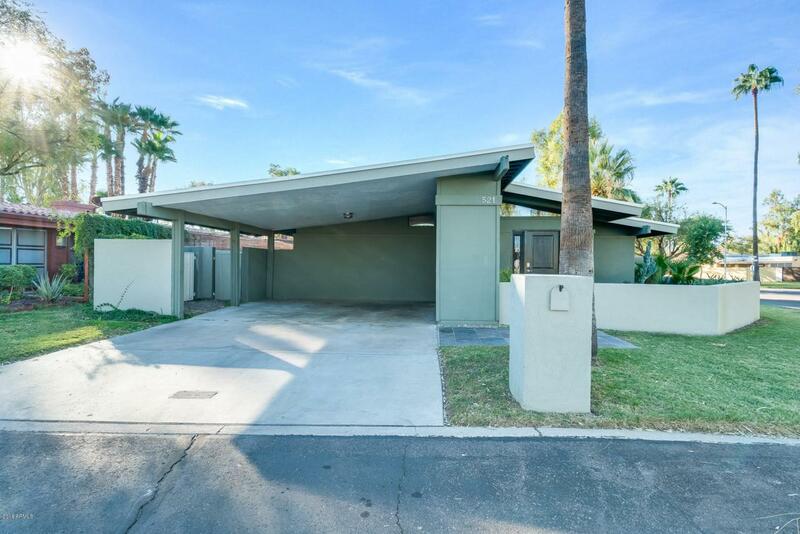 Do not wait to see this beautiful mid-century home located in Phoenix! 3 bed, 2 bath with amazing upgrades. 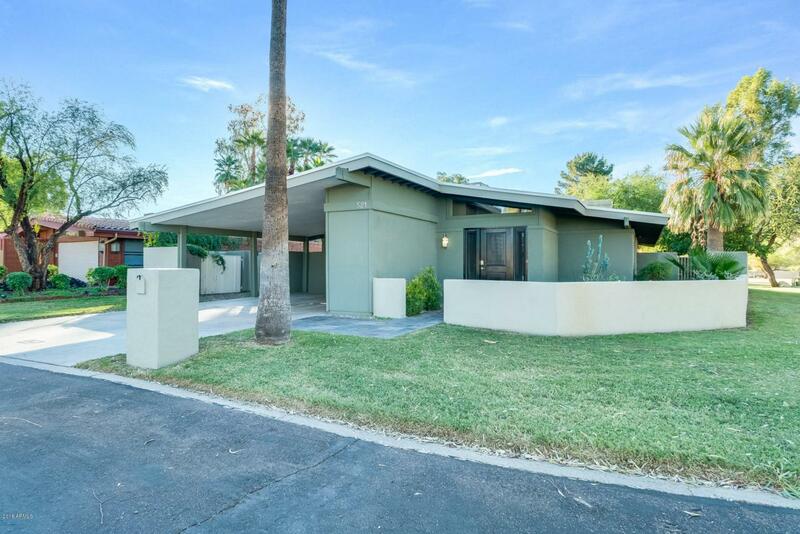 Plus, this home backs to a greenbelt and has a community pool! Throughout the house, there are vaulted ceilings that enhance the living space and open up the floor plan. The kitchen is an industrial style that features stainless steel countertops, glass door cabinets, and stainless appliances with a beautiful exposed brick wall. The bedrooms are spacious, and you will have plenty of storage space for everything. The backyard is lush with mature trees and a great size grass area where you can play yard games. 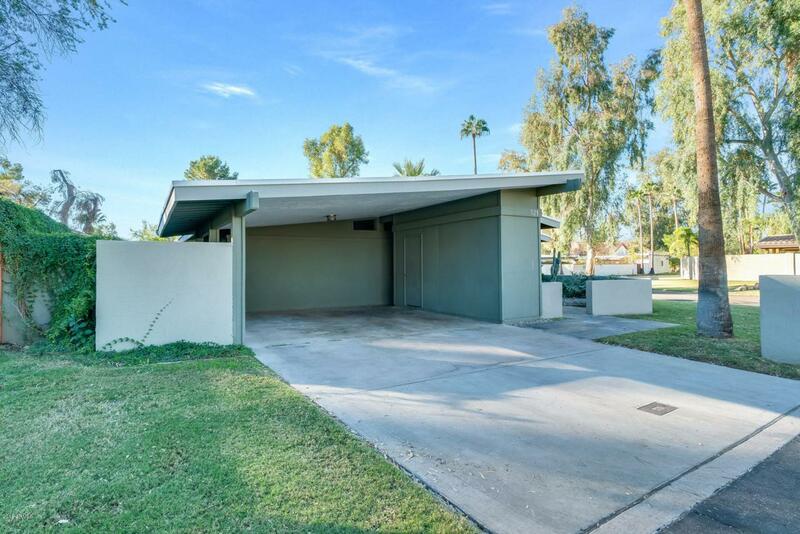 You can sit under the covered patio and enjoy the cooler Arizona evenings. Schedule your showing today!